He sits upon a rock under that bridge and takes a sip of a beer as a tear rolls down his face. Looking out over the creek, he is reminded of a long forgotten memory of his buddy. The Army flew his friend’s body home and he thought that was hard to see. The town all came out to welcome home their hometown hero, as the hearse drove down Main Street. Throughout the funeral, he was sitting next to his friend’s mother. It took all of his courage not to cry, especially when they presented her with the folded flag at the grave site service. Tomorrow, in a ceremony, they’ll name this bridge after his friend. A friend who died, fighting for his freedoms. The great land of the free, has many bridges. Nonetheless, how many bridges are named after those who fought for those freedoms? I never paid it any mind until a year ago. Back then, it didn’t mean a thing to me. If he didn’t come home, I’d watch out for them. This song is the first of two songs from this beautiful album to hit our list of Top Songs of 2018, while earning a nomination for the Spirit Award’s Song of The Year Award and Spirit of America Award. 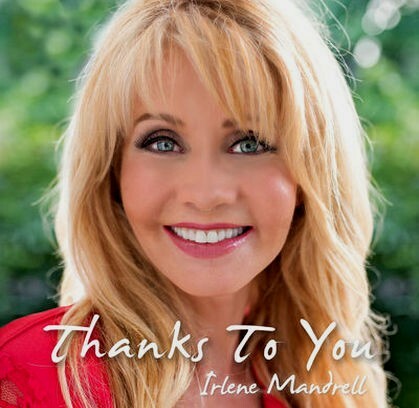 In late 2017, Irlene recorded a beautiful Patriotic album called Thanks To You. The eleven cut album features the talents from her children—Vanessa, Christina, Deric, as well as her husband Pat. The album took several years to record. The first song “We Will Stand” was released in 2015. Nonetheless it’s the other nine songs that are truly amazing. Among these songs you will find “The Boots My Momma Wears,” a heartfelt song about what life is like for the families of active soldiers. “The Boots My Momma Wears” is the second to earn a position on our list of Top Songs of 2018, while earning a nomination for the Spirit Award’s Song of The Year Award and Spirit of America Award. Irlene knows first hand the sacrifices soldiers face while serving. Her father, Irby Mandrell, served in the United States Navy as a Pharmacist Mate, also known as a corpsman. “What really got us close to the military… when Louise and I were too young… I love saying this, because Barbara was a teenager…” laughs Irlene, the youngest of the three. “Well, we stayed with our aunt and uncle...they [Barbara, Irby, Mary and the rest of the band] went over seas, but not USO. They went over seas. It was private promotions so they would go to places where the men didn’t get entertainment. I remember mom [Mary] talking about how they’d drop them off real quick, in a helicopter. That it was kind of bloody and they were going back for wounded. There were times that they’d think it was kind of dangerous… but our guys always protected them. It was just last summer while I was in Mississippi some where that somebody came up and told me about how he was there and he goes ‘we didn’t get entertainment from home!’ He goes ‘I don’t know if they have any idea how that boosted our morale.’ It’s so good to hear. Irlene carries on the family patriotism within her album, especially with songs like “United We Stand,” “We Will Stand,” and “The Cloth He Was Cut From.” Most notably, Irlene’s vast respect for those who had served and those who continue to serve is found in the title cut. In this poetic song, Irlene sends a message of gratitude while encouraging service members to be proud of their service. Due to their sacrifices, Americans can enjoy their freedoms. The Mandrells have always been known for their respect for God and Country. The album includes a song that combines the two with “Somebody Died For Me.” This song was written by, Barbara’s daughter-in-law, Gospel singer Christy Sutherland. The song is performed in a heartfelt ballad. Nonetheless it is Irlene’s tender and emotional vocals that bring this song to the forefront of this incredible album. This song is the final song from this album to earn a place on our list of Top Songs of 2018, while earning a nomination for the Spirit Award’s Song of The Year Award. “You feel lucky that you understand and you don’t get it, when people don’t get it.” expresses Irlene about her feelings for respect for our nation’s real heroes. Irlene continues to perform at limited engagements. She recently performed for the Joshua Chamberlain Society (https://www.chamberlainsociety.org/) to help raise funds and show support for our wounded soldiers. On November 9, 2018, Irlene will share the stories behind the songs on this album on Strictly Country’s Friday night radio show—Around The Campfire. Click image to purchase album. All contests for this show have expired.